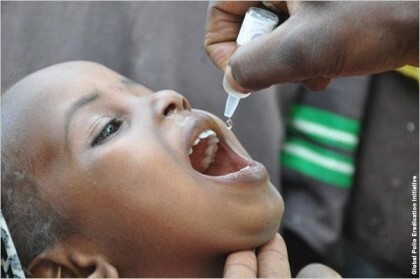 Mogadishu, Oct 22 (IANS) UN agencies on Thursday declared an end to the 2013-2014 polio outbreak in Somalia, which affected nearly 200 people, most of them children. The announcement came 14 months after the last polio case was identified, according to a joint statement by the UN Children’s Fund (UNICEF), World Health Organisation (WHO) and the partners of the Global Polio Eradication Initiative (GPEI), Xinhua news agency reported. An assessment team conducted a review in Somalia in October, and decided the polio outbreak was over. Humanitarian Coordinator for Somalia, Peter de Clercq, said the achievement was a great credit to the Somalis and volunteers who “put their lives at risk to save lives of others in need”. Polio was detected in Somalia in May 2013, for the first time in six years, after parents of a two-year-old girl in capital Mogadishu found out that she was unable to walk. The virus, which can cause paralysis or even death, spread quickly affecting 194 people in 2013. Number of the affected was contained to five in 2014. Over 2.1 million children under the age of five were targeted in multiple immunisation campaigns launched by the Somali health authorities, with the support of the UN agencies and GPEI.